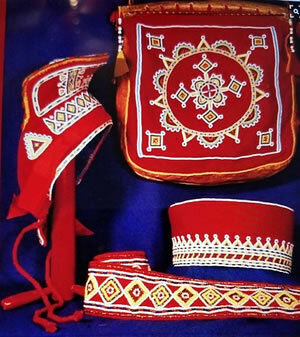 Examples of Sami Mica embroidery. The folk art of "Kråkesølvbroderi" gets its name from the northernmost indigenous Sami (also Sámi or Saami) people of Europe. These indigenous Finno-Ugric people live in the Arctic area of Sápmi, which today includes parts of northern Norway, Sweden, Finland, and the Kola Peninsula of Russia. English speaking countries refer to the Sami people as Lapps or Laplanders. The Sami are the only indigenous people in Scandinavia and are protected under international conventions of indigenous peoples. The traditional Sami colors include the primary colors of red, green, blue, and yellow, which are also the colors of the Sami flag adopted in 1986. The Sami people used chips of mica for decorating their traditional Sami colored costumes and other projects. The Sami people refer to the mica as "kråkesølv", which means Crow's Silver. Russia and Finland are the largest producers of mica, which explains why the Sami people use the mineral in their designs. Mica is a silicate rock that flakes off in very thin sheets, which gives the finished "Kråkesølvbroderi" product a fancy, shiny, and reflective spark. Traditional Sami Mica Embroidery utilizes basic embroidery and applique techniques, along with touches of mica, to create the desired fancy look. 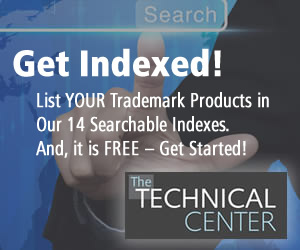 Below are a list of items needed to complete a Sami Micra Embroidery design. 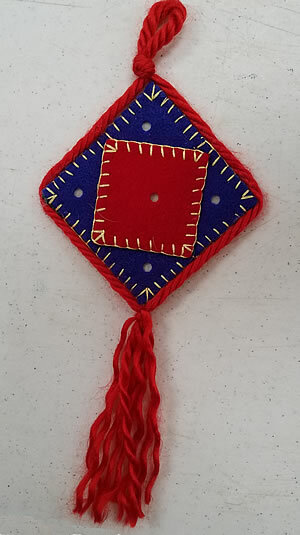 These instructions provide basic directions for completing a Sami Mica Embroidery embellishment design. 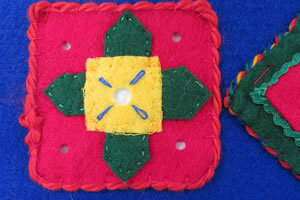 Choose the felt colors and decide the placement of colors within the design. 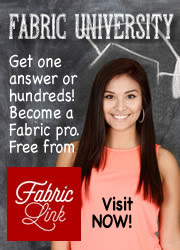 For the top design piece(s), attach iron-on interfacing as directed on the interfacing. This acts as a stabilizer on the back of the felt pieces, and makes for cleaner-looking punched holes. It also protects the mica. Trace the selected design on the felt piece. 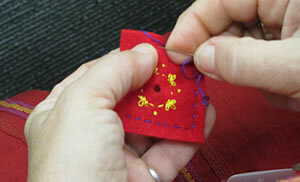 If embroidery is planned for any individual felt pieces, do the embroidery before cutting out the piece. (This does NOT refer to the embroidery that appliques the pieces together.) See the Embroidery Stitch Sheet (LINK) to help in choosing the desired embroidery stich. Decide the size holes for each felt piece where the mica will be placed, and use the Leather Punch to punch out these holes. Cut out the felt pieces that have been traced. 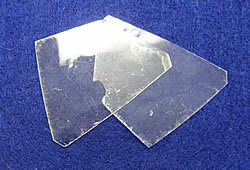 Peel the Mica sheets apart, and cut/break pieces of Mica slightly larger than the punched holes under which the Mica is to be used. Position the Mica on the under/back side of the felt piece(s). Tape the Mica in place, using a small amount of the white contact paper or adhesive label paper. The white paper will make the Mica shinier, which will make it show up better in the design. 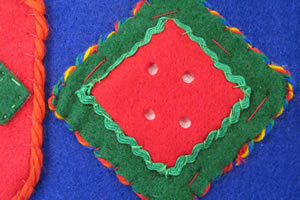 Use embroidery stitches to applique the pieces of felt together to create the desired design. 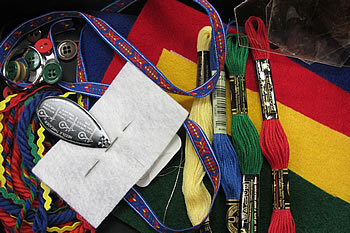 Use a heavier thread or yarn for attaching the felt pieces together. There are several stitch options for this purpose–the Blanket Stitch, a solid Satin Stitch, or a small Whip Stitch. 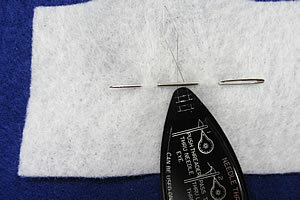 A combination of these three stitches can also be used. See the Embroidery Stitch Sheet (LINK) for the Stitch Instructions. Use Double-Sided Tape or Scrapbooking Squares as necessary to keep the felt pieces in place while stitching or doing the embroidery. Mount the piece in a frame, or use a fabric glue to add a solid piece of felt to the back of the embroidered piece. Use a pinking sheers to finish the edge of the design as desired. Finish the piece as an ornament or piece of jewelry by whip stitching a backing fabric, and then placing yarn, cording, or braid around the outside edge of the piece. If the felted design is to be used as an applique on clothing or an accessory, like a purse or belt, use an applique stitch to attach the felted design to the finished project.